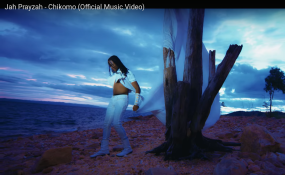 Jah Prayzah in Chikomo video (screenshot). Riding the crest of a wave following the release of his latest video titled Chikomo that has now attracted over 200 000 views inside three days, one of Zimbabwe's biggest artists Jah Prayzah, is set to perform at a music festival in the United States of America alongside Africa's music giants. Dubbed One Africa Music Fest and scheduled for the 10th of August, the concert will be held in New York City.